In the depths of the world- photo courtesy of Joanna Poe. 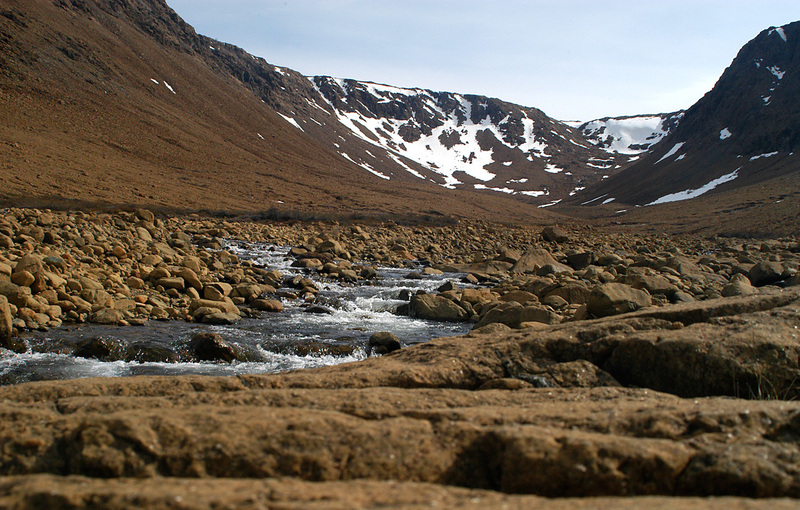 See the inner working’s of this planet of ours at Gros Morne. Every high school geology student knows about the earth’s mantle – but few people ever get to see what it looks like, let alone wander around and pick up chunks of it. 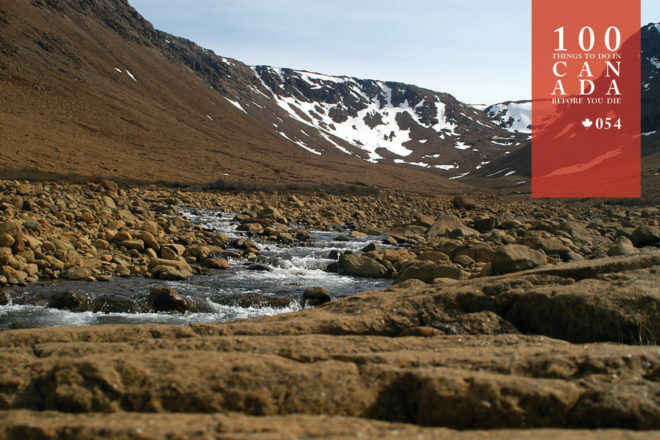 But that’s exactly what’s on offer at the stark and stunning Tablelands in Gros Morne National Park, where the earth’s mantle lies exposed for all to see and explore. It’s a tremendous opportunity to release your inner-adventurer. 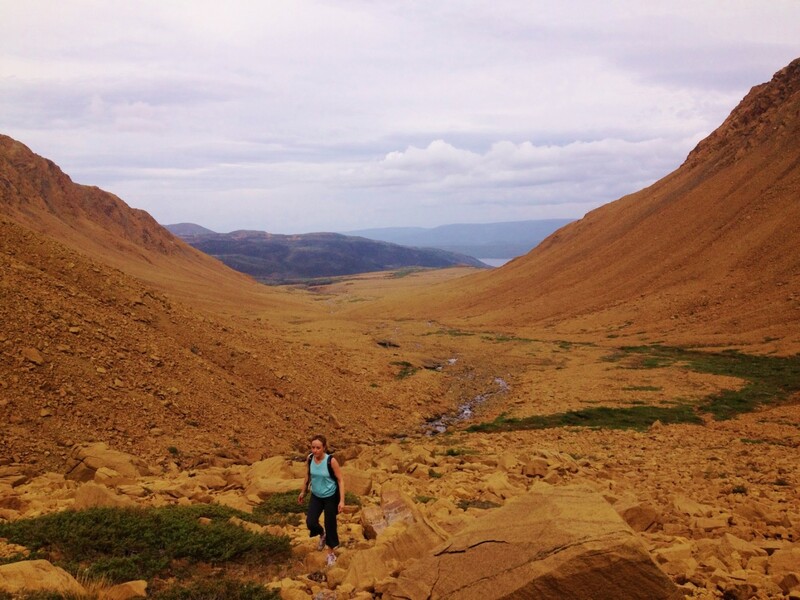 The park rangers at this World Heritage Site on Newfoundlands’ west coast encourage visitors to grab a map and set forth, letting your legs and imagination be your guide. If you take the Trout River Pond Trail, roughly a 17-kilometre return trip, your reward is a secluded beach with the best view in the house. After you’ve tuckered yourself out, you can cap off the day by camping in comfort as the vivid sunset lights up the Tablelands. The Trout River campgrounds at Gros Morne National Park (pc.gc.ca) are open from June to late September, with the other campgrounds and facilities only available seasonally as well. 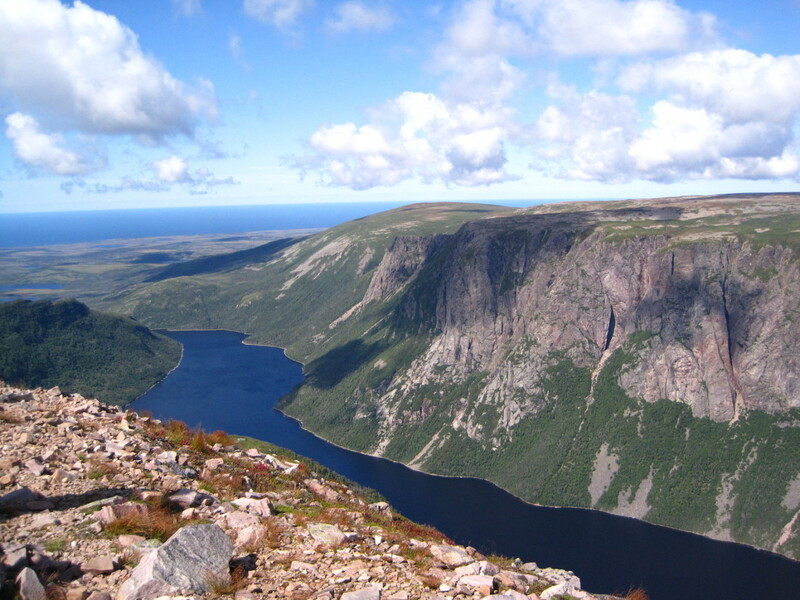 Midway up Newfoundland’s west coast, the easiest way to access Gros Morne National Park is via the Deer Lake Regional Airport on its southern boundary, or you can hop on a ferry and go across the Gulf of St Lawrence from Nova Scotia.